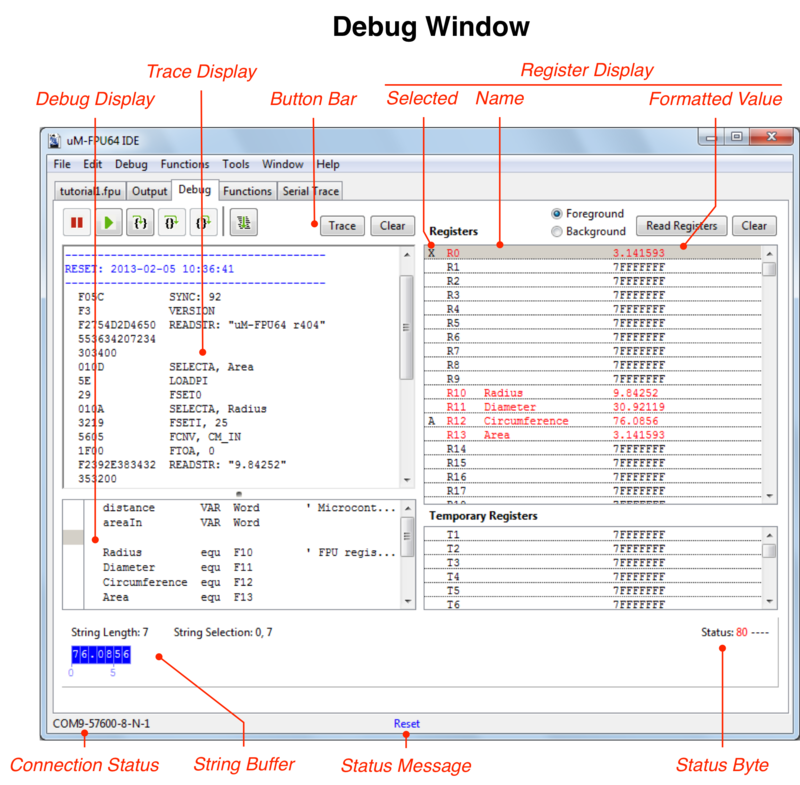 The uM-FPU64 IDE (Integrated Development Environment) provides a set of easy-to-use tools for developing applications using the uM-FPU64 floating point coprocessor. 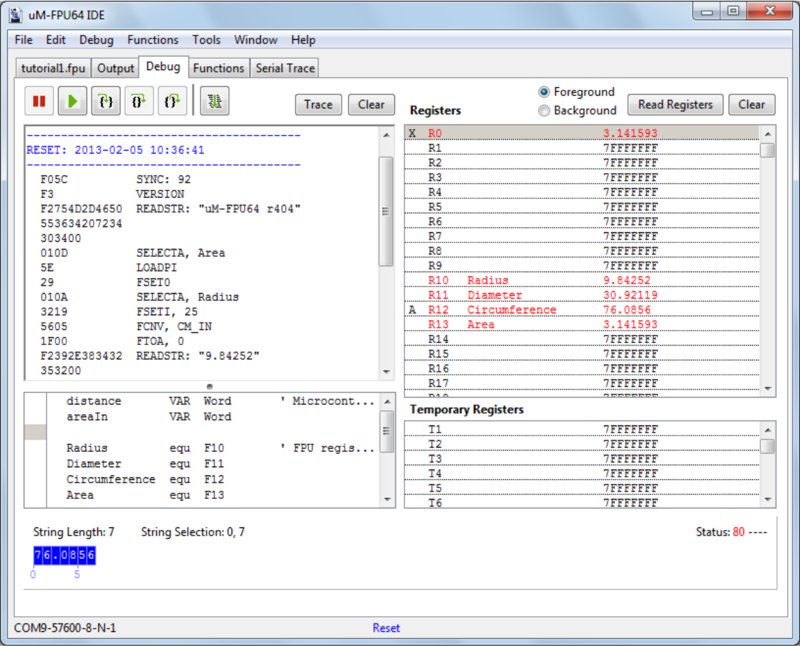 The IDE runs on Windows XP, Vista, and Windows 7 and provides support for compiling, debugging, and programming the uM-FPU64 floating point coprocessor. 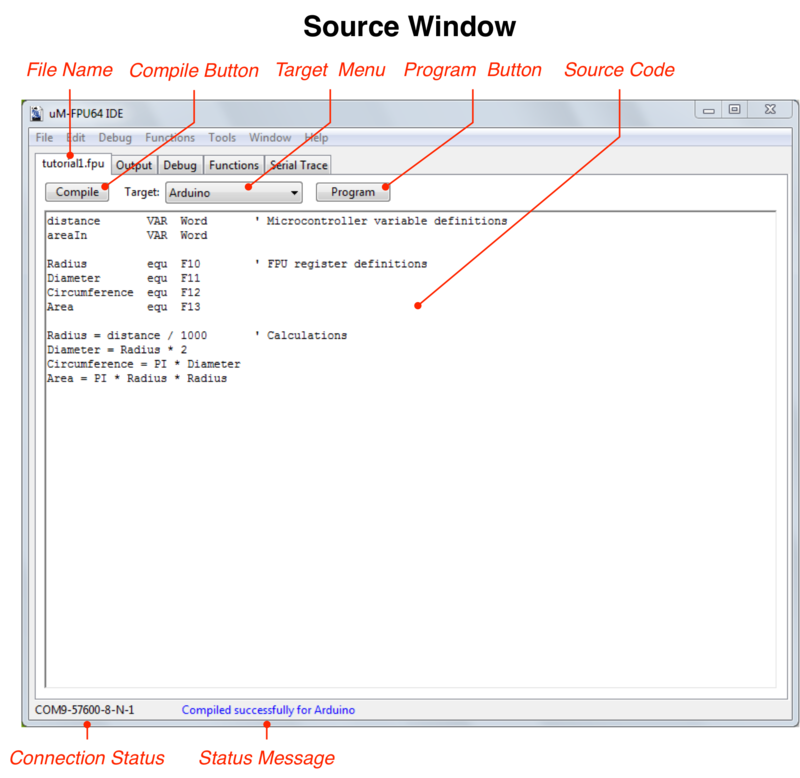 clicking in the upper left corner of the Number Converter, Interactive Compiler, SERIN, SEROUT, Flash, RAM, or Matrix windows will cause the main IDE window to be displayed immediately behind the current window. 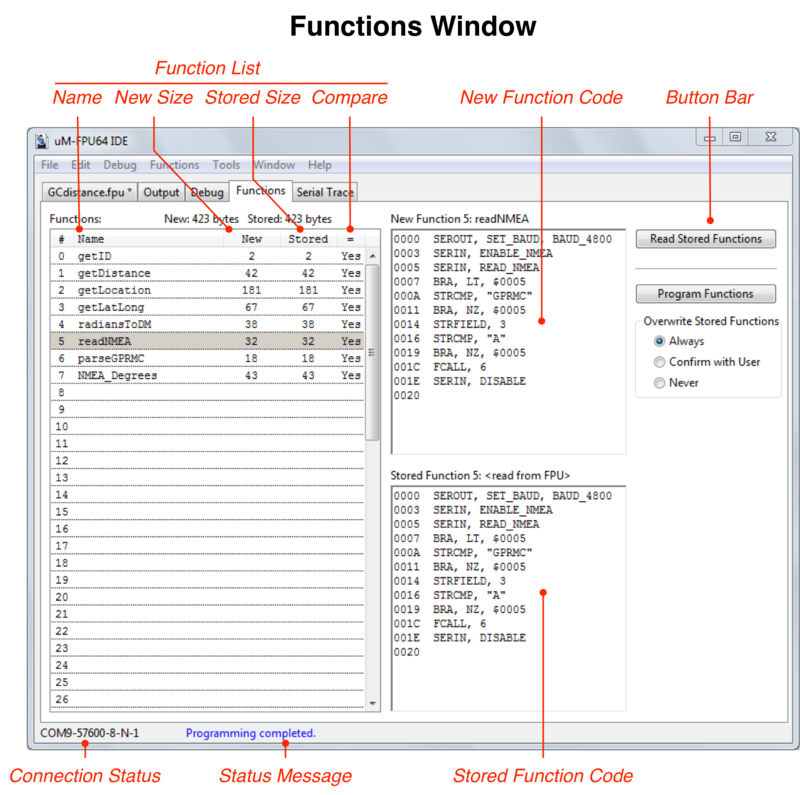 comments included on the FPU source line for register definitions, variable definitions, and function definitions are now included in the target code generated. 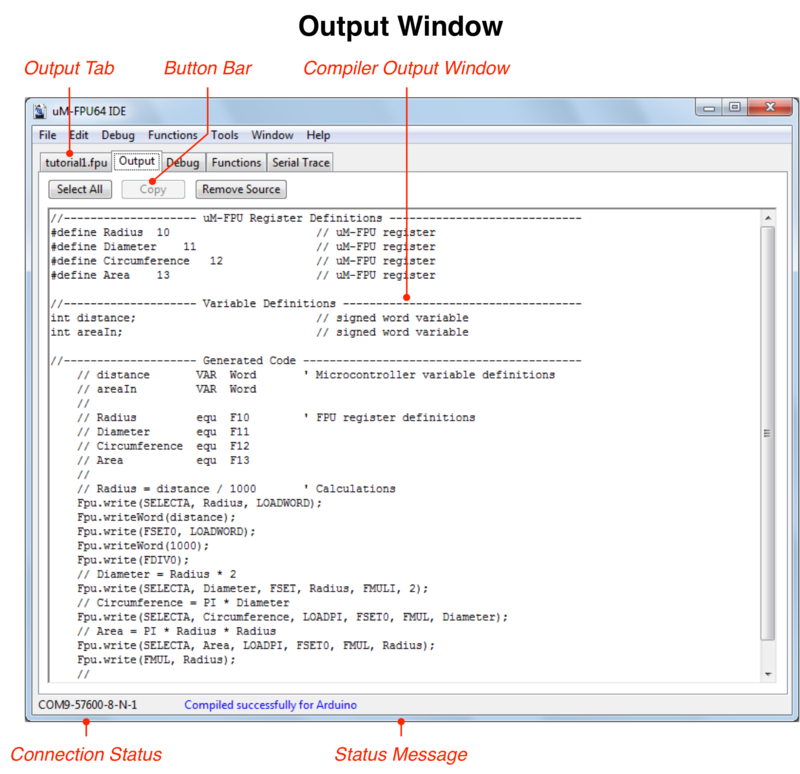 Interactive Compiler window added to the Tools menu. 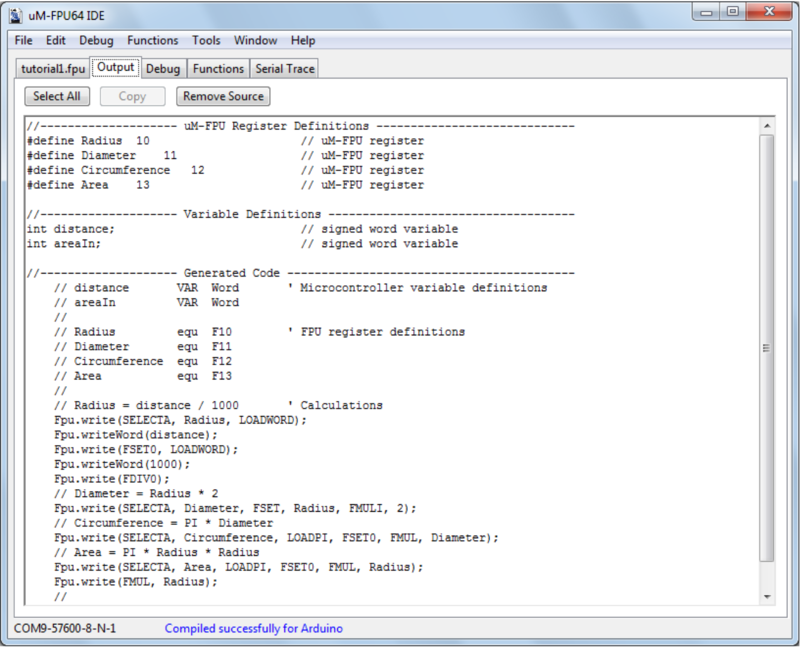 Used for writing compiled instructions to the FPU instruction buffer. 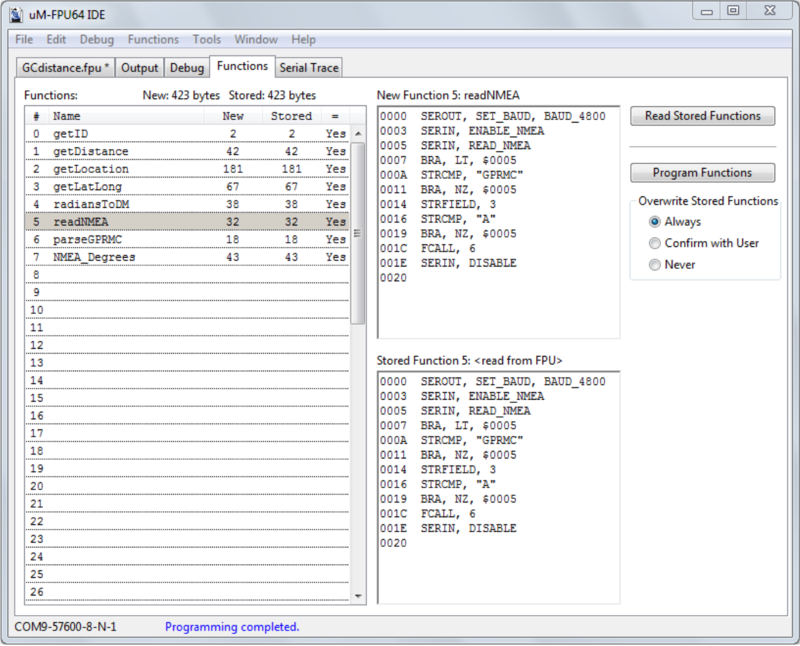 Debug> Reset menu item added to allow the FPU to be reset from the IDE. fixed problem in RAM Display Window with certain signed values. devio(LCD,...) functions always set the RS pin prior to use. This allows the pin to be shared. fixed problem with pointer array code generation. fixed problem causing hang if function parameter type is unknown. IF statements that used expressions could branch to the wrong case. fixed code generation for SELECTMA when row is a register. fixed display of background string selection. fixed code generation for function arguments and return values when register A is a different size (32-bit/64-bit). 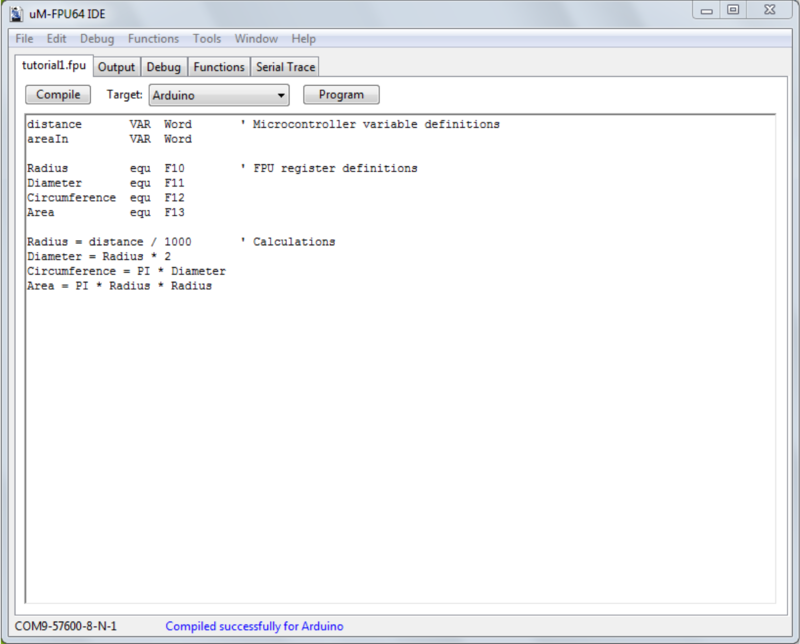 added firmware folder to IDE installation.